It has the twin-dehullers exclusive design,the application of frequency technique realises the well control of the dehullers. 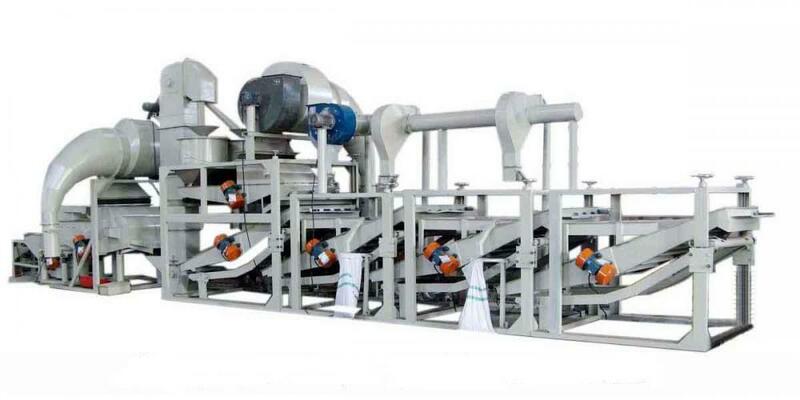 The design of pneumatic device for back-flowing materials, let the un-dehulled sunflower inshell flow back to dehullers automatically, make the dehulling works more efficient.The whole equipment can pre-clean, dehull, remove sunflower shells,separate and reseparate your product at one time, it's the optimum equipment for your sunflower kernels processing industry. It features high persentage of dehulling rate, low persentage of brokens, high automation degree and easy maintenance. Looking for ideal Sunflower Seeds De-hulling & Separating Equipment Manufacturer & supplier ? We have a wide selection at great prices to help you get creative. All the Sunflower Seeds Hulling are quality guaranteed. We are China Origin Factory of Sunflower Seeds Separating. If you have any question, please feel free to contact us.